Draft: 2008, Baltimore Orioles, 2nd rd. Xavier Tyrone Avery…resides in Tampa, FL…graduated from Cedar Grove (GA) High School…originally selected by Baltimore in the 2nd round of the 2008 June draft…signed by Orioles scout Dave Jennings. Acquired from Baltimore on Aug. 30 in exchange for OF Michael Morse. Appeared in 3 games for AAA Tacoma, batting .500 (6x12).Went 5-for-5 with 3 runs scored, double, home run and 3 RBI Sept. 1 vs. Sacramento. In Baltimore organization, split season between AAA Norfolk (81 G) and AA Bowie (39 G). Combined to bat .266 (124x467) with 23 doubles, 4 triples, 4 home runs and 38 RBI in 123 minor league games. Ranked 3rd in the Orioles organization with 29 stolen bases. Recalled from AAA Norfolk on June 6, but did not appear, and optioned on June 7. Led the Baysox in games played (138), hits (144), doubles (31) and sacrifice bunts (14), was second in runs scored (72) and fourth in walks (49)...Also led Bowie and the Eastern League in at-bats (557) and was second on the team (fourth in the EL) in stolen bases with 36...Had a team-high 15-game hit streak, July 16-29...Was named to the Eastern League mid-season All-Star team as a centerfielder. Was named to the Carolina League Post-Season All-Star Team...Was rated as the third best prospect in the Orioles' organization by Baseball America following the 2010 season...Finished fourth in the Carolina League with 28 steals...Was promoted to Double-A Bowie on July 28 and hit safely in 11 of his first 12 games with the Baysox...Drove in a career-high four runs three times with Bowie (August 17 at Trenton, August 21 against Richmond and August 29 at New Britain). Led the club in triples (8), games played (129) and was second in hits (124) and stolen bases (30)...In the month of May hit .340 with five doubles, four triples, a home run, 13 runs scored, ten walks and six stolen bases...Set new career highs with five hits and four runs scored in a game on June 10 at Lake County...Hit .304 (14-46) in his last 12 games of the season. Had first four-hit game of his career July 25 against the GCL Twins. November 2, 2018 RF Xavier Avery elected free agency. August 26, 2018 RF Xavier Avery assigned to Gwinnett Stripers from Mississippi Braves. August 23, 2018 RF Xavier Avery assigned to Mississippi Braves from Gwinnett Stripers. August 7, 2018 Gwinnett Stripers activated RF Xavier Avery from the 7-day disabled list. July 16, 2018 Gwinnett Stripers placed RF Xavier Avery on the 7-day disabled list. May 4, 2018 Gwinnett Stripers activated RF Xavier Avery from the 7-day disabled list. April 5, 2018 Gwinnett Stripers placed CF Xavier Avery on the 7-day disabled list. February 23, 2018 OF Xavier Avery assigned to Atlanta Braves. July 21, 2017 CF Xavier Avery assigned to Gwinnett Braves from Florida Fire Frogs. July 20, 2017 OF Xavier Avery assigned to Florida Fire Frogs from Gwinnett Braves. April 4, 2017 OF Xavier Avery assigned to Gwinnett Braves. March 18, 2017 CF Xavier Avery assigned to Atlanta Braves. November 7, 2016 CF Xavier Avery elected free agency. December 29, 2015 CF Xavier Avery assigned to Norfolk Tides. December 15, 2015 Baltimore Orioles signed free agent LF Xavier Avery to a minor league contract. December 15, 2015 LF Xavier Avery roster status changed by Baltimore Orioles. November 6, 2015 LF Xavier Avery elected free agency. July 26, 2015 LF Xavier Avery assigned to Rochester Red Wings. July 25, 2015 Minnesota Twins signed free agent LF Xavier Avery to a minor league contract. July 21, 2015 Sacramento River Cats released LF Xavier Avery. July 3, 2015 San Francisco Giants signed free agent LF Xavier Avery to a minor league contract. July 3, 2015 LF Xavier Avery assigned to Sacramento River Cats. July 1, 2015 Toledo Mud Hens released LF Xavier Avery. November 19, 2014 Detroit Tigers signed free agent LF Xavier Avery to a minor league contract and invited him to spring training. November 19, 2014 LF Xavier Avery assigned to Toledo Mud Hens. April 2, 2014 Seattle Mariners sent LF Xavier Avery outright to Tacoma Rainiers. March 28, 2014 Seattle Mariners designated LF Xavier Avery for assignment. March 14, 2014 Seattle Mariners optioned LF Xavier Avery to Tacoma Rainiers. September 30, 2013 Seattle Mariners recalled Xavier Avery from Tacoma Rainiers. August 30, 2013 Baltimore Orioles traded LF Xavier Avery to Seattle Mariners for LF Michael Morse. August 30, 2013 Seattle Mariners optioned Xavier Avery to Tacoma Rainiers. August 30, 2013 Xavier Avery assigned to Tacoma Rainiers. June 7, 2013 Baltimore Orioles optioned LF Xavier Avery to Norfolk Tides. June 6, 2013 Baltimore Orioles recalled Xavier Avery from Norfolk Tides. May 21, 2013 Xavier Avery assigned to Norfolk Tides from Bowie Baysox. April 4, 2013 Xavier Avery assigned to Bowie Baysox from Norfolk Tides. March 11, 2013 Baltimore Orioles optioned Xavier Avery to Norfolk Tides. October 13, 2012 Xavier Avery roster status changed by Baltimore Orioles. September 1, 2012 Baltimore Orioles recalled Xavier Avery from Norfolk Tides. August 31, 2012 Norfolk Tides placed CF Xavier Avery on the reserve list. July 12, 2012 Baltimore Orioles optioned CF Xavier Avery to Norfolk Tides. July 3, 2012 Baltimore Orioles recalled Xavier Avery from Norfolk Tides. July 1, 2012 Baltimore Orioles optioned Xavier Avery to Norfolk Tides. June 28, 2012 Baltimore Orioles recalled Xavier Avery from Norfolk Tides. May 29, 2012 Baltimore Orioles optioned Xavier Avery to Norfolk Tides. May 13, 2012 Baltimore Orioles selected the contract of Xavier Avery from Norfolk Tides. April 4, 2012 Xavier Avery assigned to Norfolk Tides from Bowie Baysox. 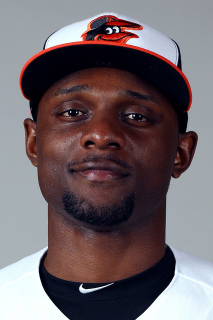 February 10, 2012 Baltimore Orioles invited non-roster CF Xavier Avery to spring training. April 6, 2011 Xavier Avery assigned to Bowie Baysox from Frederick Keys. March 12, 2011 CF Xavier Avery assigned to Baltimore Orioles. October 8, 2010 CF Xavier Avery assigned to Scottsdale Scorpions. September 8, 2010 Xavier Avery assigned to Frederick Keys from Bowie Baysox. August 10, 2010 Xavier Avery assigned to Bowie Baysox from Frederick Keys. April 8, 2010 Xavier Avery assigned to Frederick Keys from Delmarva Shorebirds. March 20, 2010 CF Xavier Avery assigned to Baltimore Orioles. June 17, 2008 Baltimore Orioles signed CF Xavier Avery.